As I mentioned a few times (here and here), I participated in three craft shows this November. It was a good experience and opportunity to promote my The Ruthless Crafter business. Over the next few days I will highlight the items that I made. Some of them you will find for sale on my Etsy shop. 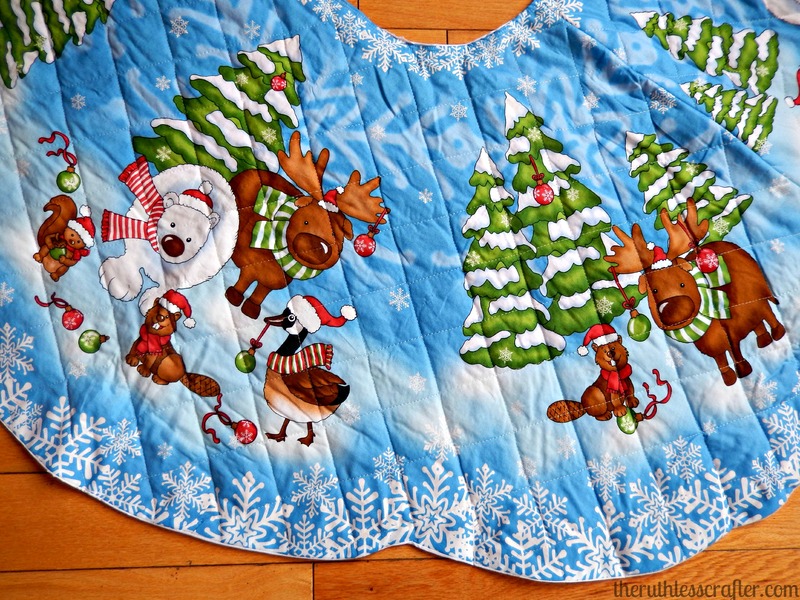 Today I am showing you my reindeer and polar bear Christmas tree skirt. My favourite part of this one is the scalloped edges - so elegant! In this photo the scalloped edges are really clear. Love them! 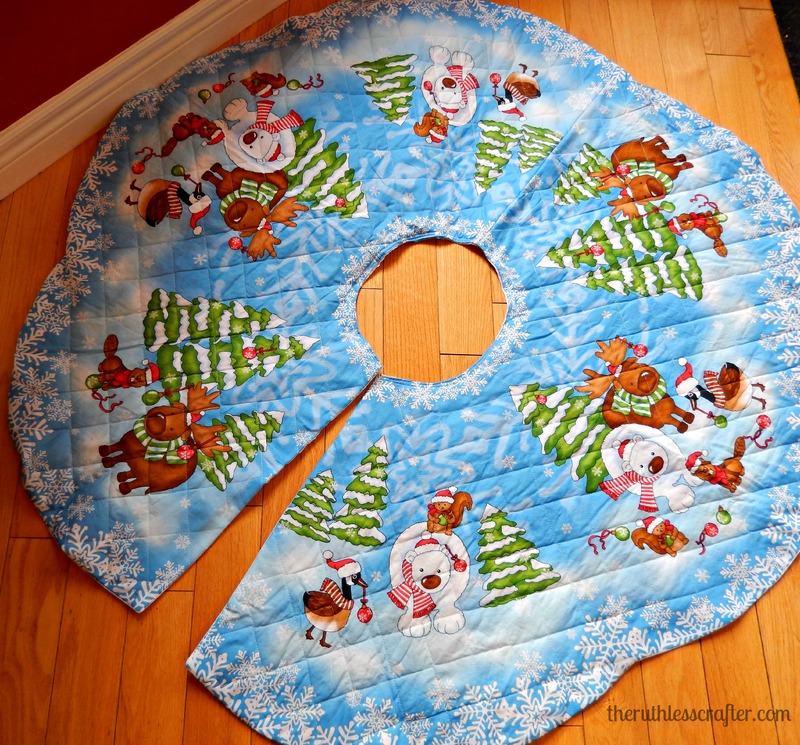 A closeup of the reindeer, polar bear, Canada goose, beaver and squirrel. 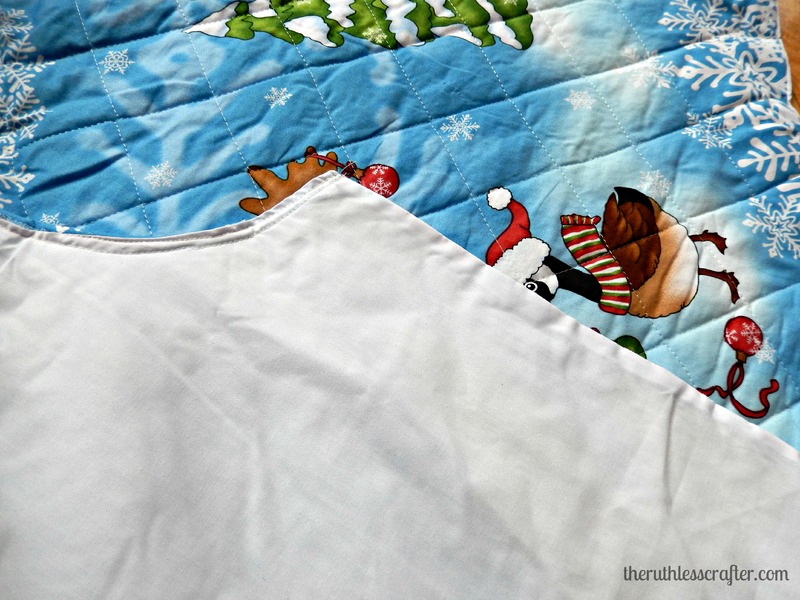 This shows the backing of white fabric and no quilting beside the top that has cross-hatched quilting.